The human tendency is to predict doomsday in a split second. When TV's came, theaters were supposed to be gone. When computers came, TV's were supposed to be gone. When Jio came, other players are supposed to be gone. Airtel, Voda+Idea will benefit immensely from this new era in the telecom space.. BSNL will be funded by the government and they'll always be there. The others will be extinct. Now data is like cocaine, you get used to it and then you can't let it go. There was a time when Indians would use 1 GB of data a month like misers and be happy with that much. JIO has made most users heavily reliant on data and the average usage of data is in double digits now as many people are consuming more than 500 MB of mobile data a day. Thanks to the JIO offers of "unlimited free". 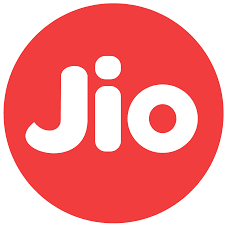 Now when the normal tarrifs of JIO roll out, data consumption will fall too but by how much? 50%? 75%? The average consumption of mobile data will be triple of the pre-JIO era. So how will other companies capitalize on this when VOICE CALLING WILL BE FREE EVERYWHERE. JIO's tariffs are very prudent in terms of pricing. Remember, Telecom companies like Airtel have a data ARPU of around Rs 180 and an average monthly data consumption of around 900 MB (June quarter of 2016). Post JIO all this figure is irrelevant as JIO offered everything for free. So now JIO will start charging. The Rs 149 pack won't be its main pack and thus tariff will change as almost every telcom company will match this. But whatever happens, JIO will ensure that every customer will spend more than Rs 250 every month and it's ARPU will be at a very healthy level. What does it mean for other operators? Bharti Airtel, Voda-Idea will redesign plans to match JIO at a pricing of +/-5%. Overall, we predict that every telecom compamy will have an opportunity to make an ARPU of above Rs 200 which means better days for telecom companies. We forecast a very positive outlook for the major telecom players in India with the ARPU set to climb in a healthy rate for telecom companies. The companies incur a fixed cost on the mobile towers and the variable cost of voice is limited to the IOC charges and some minor costs. We expect IOC will be gone in the times to come and thus voice will have no significant variable cost as well. The loss of Voice ARPU will be made up in the data ARPU growth. Whats your view on the future of telecom companies? Do let us know.